Watch the Great Wildebeest Migration on this 5-day Kenya wildlife tour! 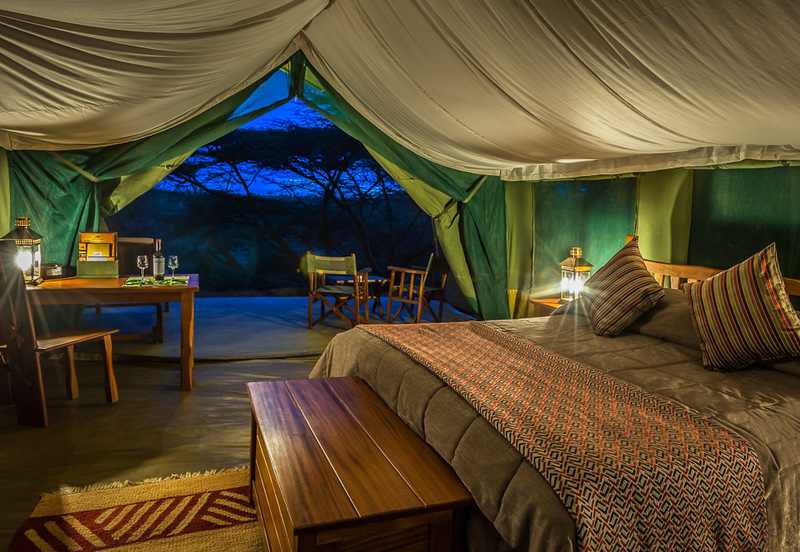 Stay in luxury camps & go on extensive game drives in Lake Nakuru National Park & Masai Mara National Reserve. Begin your African holiday with a game drive inside Lake Nakuru National Park, famous for its large flamingo population. 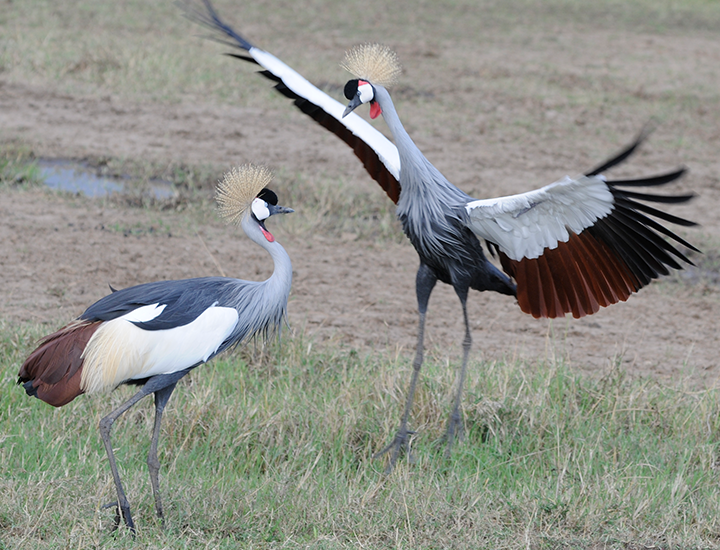 Arrive at Jomo Kenyatta International Airport and drive to Lake Nakuru National Park. Lake Nakuru lies in the cleft of the Great Rift Valley, surrounded by extinct and dormant volcanoes. Owing to its unique geological layout, the park offers sanctuary to some of the world's most endangered creatures. Go on an afternoon game drive within the park to spot colobus monkeys, hippos, leopards, lions, black and white rhinos, waterbucks, impalas, gazelles, striped hyenas, vervet monkeys, baboons, and endangered Rothschild's giraffes. 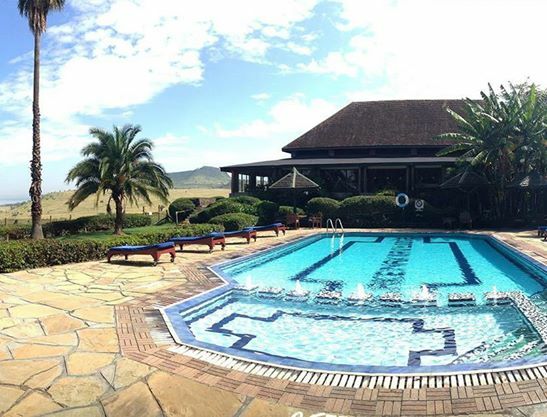 Check in to the Lake Nakuru Lodge that lies in the Great Rift Valley; in the heart of one of Kenya's most densely animal populated wetland national parks—a Ramsar Site. The lodge is known to be one of the best lodges in Africa in terms of the location. It is not only a preferred destination amongst safari goers but is also frequented by greater and lesser flamingos! Your stay here will be in a standard rondavel—an African-styled hut. Each rondavel features a comfortable queen bed, an en-suite bathroom, and a private veranda. After a long day on safari, you can relax at the Mama Nikki Bar or the Rhino Paddock Cocktail Bar overlooking the lake. The lodge also features a multi-cuisine restaurant that serves everything from bush barbeques to sundowners. Today you will have your first chance to experience The Great Migration on a safari in Masai Mara National Reserve! Drive from Nakuru to the famous Masai Mara National Reserve. You will be encountering game during the drive. This reserve is Kenya’s most visited wildlife protected area and is one of Africa's best safari destinations. Go on an afternoon game drive to explore the plains of Masai Mara that are teeming with abundant wildlife—an excellent place to witness the Great Migration. Each year, between the months of July and September, more than a million wildebeests, zebras, and gazelles migrate from Serengeti to the grasslands of Masai Mara. Moving in groups of up to 20,000 at a time, they are best viewed when attempting to cross the Mara or Talek Rivers. After your safari return to Ilkeliani Camp for the night. Ideally nestled in the river glade, the camp prides itself for its excellent hospitality and experienced safari guides. Stay here in a spacious luxury, en-suite tent. The lodge’s restaurant offers delicious a la carte and buffet cuisine, and the chef is always at hand to cater to any special dietary requirements. Watch The Great Migration in full swing across the Masai Mara over the next two days. Go on game drives with experienced guides to get the best possible view and understanding of this grand spectacle. Spend the next two days on safaris in Masai Mara National Reserve. The Mara is divided into four topographical units: the Ngama Hills to the east of Keekorok and the Sekanani Gate; the Siria Escarpment, which forms the western boundary; the Mara Triangle, which lies between the Mara River and the Siria Escarpment; and the Central Plains, which lie between the Mara River and the Ngama Hills. 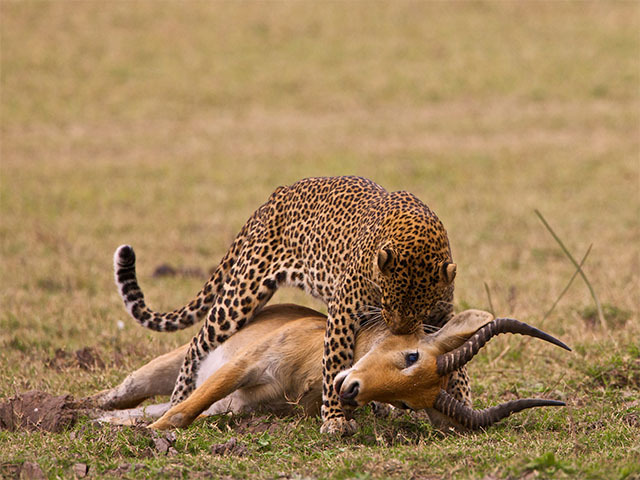 Apart from seeing herds of wildebeests and zebras, you are likely to spot leopards, cheetahs, spotted hyenas, elephants, Masai giraffes, Grant's and Thomson's gazelles, and Kirk's dik-diks. The Reserve is home to Nile crocodiles, Egyptian monitor lizards, olive baboons, and vervet, blue and red-tailed monkeys as well. It also features around 550 species of birds including the ground hornbill and black-backed vulture. Your East African safari holiday ends today with lunch at the award-winning Carnivore Restaurant in Nairobi. On this final day of your holiday, you will be driving back to Nairobi. Upon arrival in Nairobi, you will be driven to Carnivore Restaurant for a farewell lunch. The Carnivore is an award-winning, meat speciality restaurant. The atmosphere of The Carnivore combines the rustic feel of a rural environment with that of an elegant, medieval banqueting hall. Transfer to Jomo Kenyatta Airport after lunch, for your international flight home.